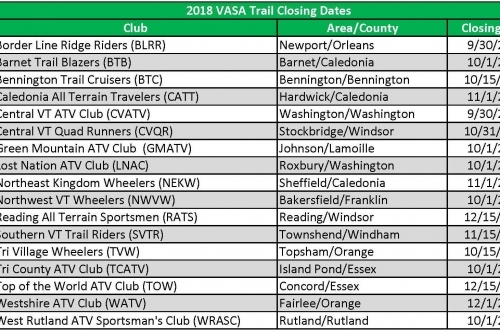 If you’re looking to ride, look no further, you’ve found VASA! 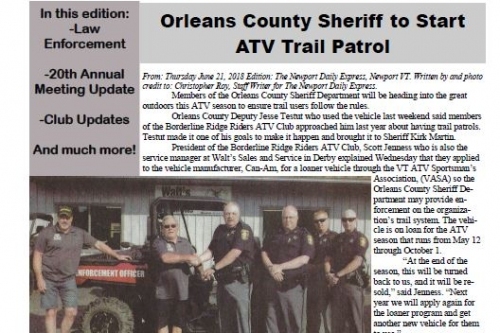 We are the statewide association of ATV clubs dedicated to developing, promoting and conserving responsible, family friendly ATV recreation throughout the state. We currently have over 800 miles of legal trail opportunity throughout the state. Take your valid registration (from Vermont or any other state) to one of our many points of sale. Fill out the quick and easy membership application, purchase your TAD and membership and receive your map. Affix your TADs to the front and rear of your vehicle and you are ready to ride. 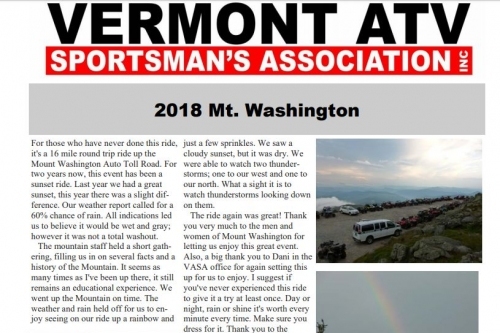 Click here to read our Fall 2018 Newsletter!